Juventus sporting director Fabio Paratici is reportedly set to meet with Cristiano Ronaldo's agent Jorge Mendes to discuss a Serie A move for Real Madrid left-back Marcelo. Marcelo has been out of form lately, with his lack of defensive discipline leading to widespread criticism from fans and the media. 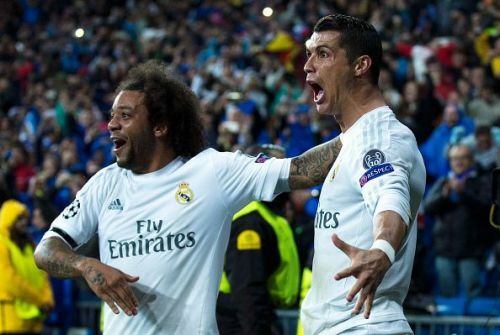 The Brazilian's contract at Los Blancos expires in 2022 but he has been heavily linked with a move to Juventus to join his former teammate Ronaldo in an explosive reunion. The Portuguese talisman has been reported to have been in daily communication with the defender, in an effort to convince him to move to Turin. Marcelo is also gradually losing his place to an in-form Sergio Reguilon and has only played 13 out of 24 LaLiga games so far this season. A few days ago, reports emerged that the defender has also met with Real Madrid managing director José Ángel Sánchez to discuss his situation at the club, reigniting rumours of a possible exit. Tuttosport now reports that Juventus are scheduled to meet Jorge Mendes to discuss a potential move for the defender. The report claims that while Real Madrid are looking for a swap deal for the Bianconeri's left-back Alex Sandro, Juventus would rather make some decent money off of the defender. Of course, the swap deal has featured regularly in the rumour mill since 2018 but given the circumstances, it appears the transfer could take place after all. It is no secret that Los Blancos are in dire need of reinforcements and Marcelo's recent dip in form is a testament to the fact. The club are also looking for fresh young players to bolster the squad so should the swap deal happen, it could benefit both the sides. Club president Florentino Perez has been vocal about his unwillingness to lose yet another player so it remains to be seen whether the club will let the defender go as easily as they did with their all-time top scorer. Real Madrid will hope to make up for their loss to Girona last weekend when they face Levante this Sunday. As for Marcelo himself, he needs to regain some of the form from the past that made him one of the best left-backs in the world.